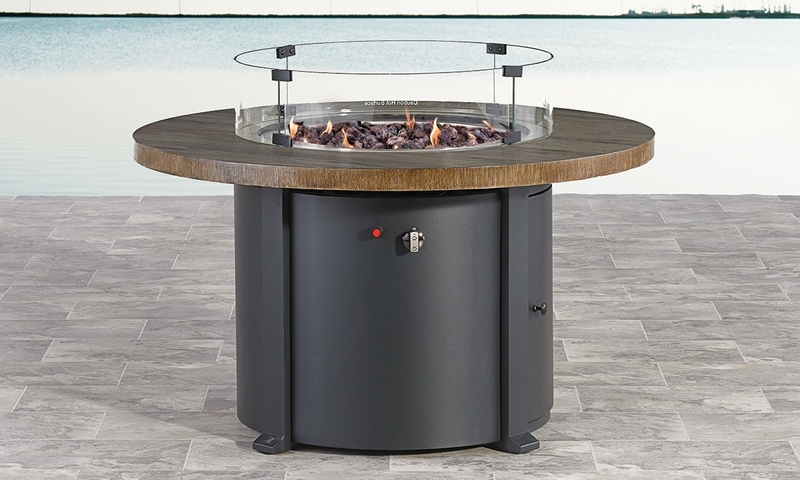 42-inch round tile top in a wood grain finish adds a rustic touch to this durable aluminum fire pit with included wind guard glass. Use your backyard to further display your décor style with the Coral Reef fire pit. It features a round powder-coated aluminum base with a 42-inch tile top finished in a wood grain for a seamless combination of contemporary, industrial and rustic design elements. Reusable lava rocks add an earthy touch inside the included wind guard glass.